In the unending swirl of shocking statements and decisions by the Trump administration, the latest scoop by NBC News could easily get lost. But it is nonetheless jaw dropping to hear reports that the administration may be thinking about surrendering to Turkish demands to extradite a long-time U.S. resident for the sake of placating Turkey and protecting Saudi Arabia in the wake of Saudi journalist Jamal Khashoggi’s brutal murder. 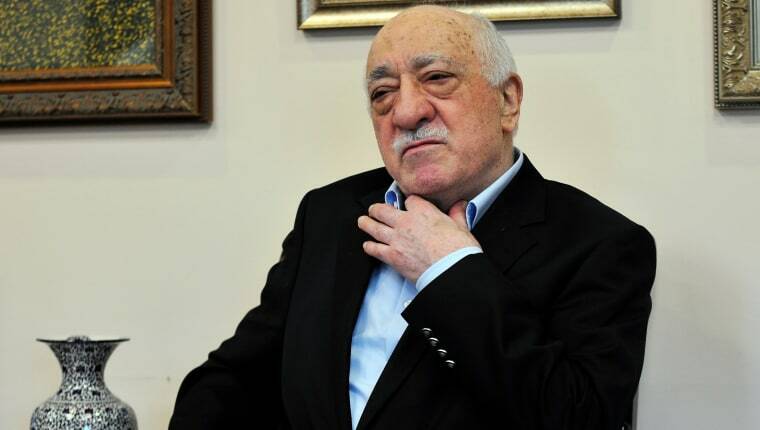 According to four people interviewed by NBC, the White House has instructed the Justice Department, the FBI and the Department of Homeland Security to find a way to remove Fethullah Gulen, a former ally-turned-foe of Turkish President Recep Tayyip Erdogan. Erdogan claims Gulen was the mastermind behind a failed coup against him in 2016. The elderly Gulen has lived in rural Pennsylvania for close to 20 years. He is a green card holder, or permanent resident of the U.S., and he adamantly denies Turkey’s accusations. But Trump presumably hopes that if he turns Gulen over to Turkey, Erdogan will return the favor by easing his campaign against Saudi Arabia, an important American ally that has been under intense scrutiny following the Khashoggi killing. U.S. authorities have already reviewed Turkey’s two-year-old extradition request and found it without merit. But Trump, in an effort to help Saudi Arabia diffuse the Khashoggi crisis, is weighing whether or not to both sacrifice a man and make a mockery of the extradition system. That system is designed not only to prevent politicians from interfering with what should be law-enforcement issues, but also to protect individuals from foreign governments fabricating charges for political purposes. Undercutting the system for the sake of protecting the Saudis makes the White House plan even more sordid. The fact that Gulen might not survive extradition to Turkey — Erdogan has said coup plotters should be beheaded — only adds to the moral bankruptcy of an idea that would further erode America’s position as a country of laws. It’s no wonder that career officials at the agencies pressured by the White House are said to have initially rolled their eyes at the request and later become “furious” when they realized the requests were serious, according to NBC. The White House has been scrambling to manage the fallout from the Kashoggi assassination. Saudi Arabia has finally admitted that its agents killed and dismembered the journalist after he walked into the Saudi consulate in Istanbul six weeks ago, although they claim it was a rogue operation. Erdogan has done everything in his power to use the situation to his advantage, releasing information incriminating the Saudis.